As anyone who follows my Facebook page will already know, I didn't win at the Irish blogger's Association's blogger's Choice awards at the weekend. Although seeing as how they had spelled my blog as "Cripple babay" on their website, I knew beforehand that I obviously had not won, lol. Still, I wanted to attend for the craic. Thanks to my sister for coming along with me. 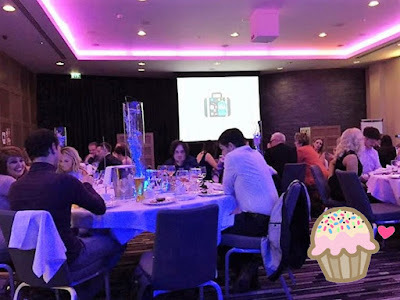 This was not only the first awards I have attended, but also the first year that the IBA have hosted any -So naturally enough there were some teething problems. There was their usual blogger's conference on during the day, but I did not attend this part as I knew I physically would not be able for one event after the other. So I can only comment on the awards. I know the IBA has come under scrutiny online for both events, but I can honestly say I enjoyed the evening, and did not find that part overpriced -Certainly no more so than other events held in Dublin hotels, that include a three course meal. Furthermore, even if any of the organisers did make some money from hosting such an event, I would never begrudge them that. I would have liked if they had a bit more imagery during the night -even simply a screenshot of the winning blog's site on the projector as they collected their certificate. I love reading others blogs, and so also would have appreciated if the website had the nominees list as clickable links. Especially to read ones in my category. Easy enough to find on Google I know, but would have been a bonus. 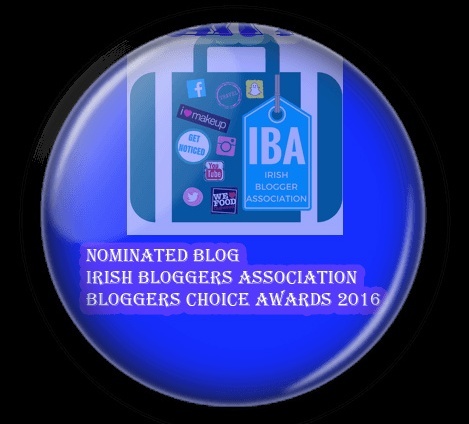 To be perfectly honest, I hated the logo -not the IBA general logo, which is nice, just the blogger awards one. The original was horrendous, to be frank, which I think they realised and later adapted slightly (see below). The third adaption was bar far the best (see side of my blog) in comparison, but odd they released such bad ones to begin with... I really don't like being bitchy, and belittling someones work. I really don't. I find it hard to actually write this, but at the end of the day they are promoting to an online market. Not to say I could do much better, of course! But that's the point -I am a complete amateur. I think especially in this day and age where, where many talented designers do pieces like this cheaply, sometimes free, or for complementary tickets. For example, many small festivals like Sprit of Folk and Vantastival have very tight budgets, but top notch branding. A lot of other bloggers are also pointing out the logo design issue, so I hope it's taken by the organisers as something to look into, rather than disheartening criticism. Perhaps even next year they could make a fun competition of out it and have designers enter their own logos into the mix. Best one receives tickets and exposure. Worth a thought, I imagine there would be big interest in it. The gin with strawberries (thanks to Bloom) instead of the usual, boring prosecco was a perfect touch! I'm not even a huge gin fan, or at least I thought I wasn't -definitely something I will be drinking again. Strawberries and all. The food was also delicious and a bit different. Like the Cinderella cripple that I am, I was in bed just after 12am, lol, although me and the sister had couple of more drinks in the room. On arrival we had been upgraded to the Jr. suite! Which included a TV in the bathroom and our own balcony. 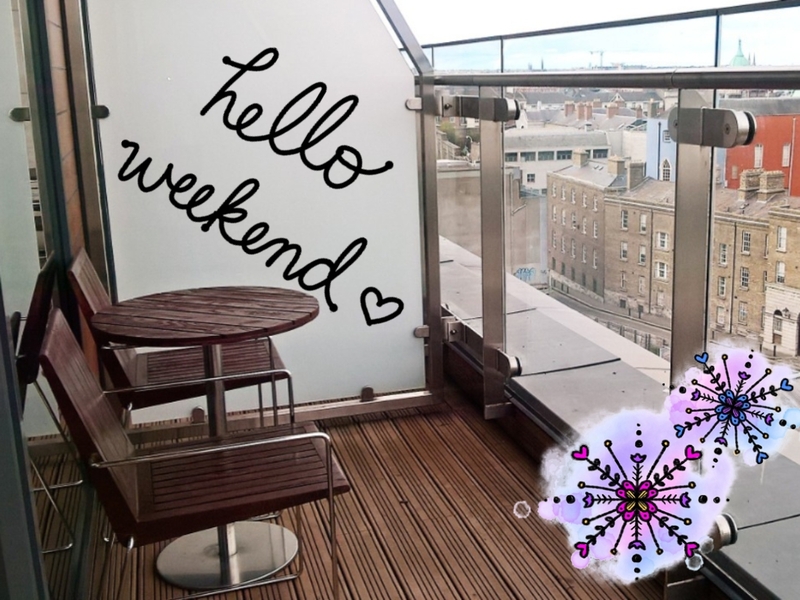 Big shout-out to the Radisson Blu in Dublin -beautiful hotel and very friendly staff. Breakfast the next morning consisted of any food you could ever wish for. 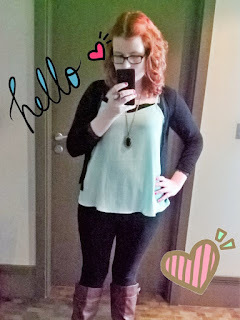 I didn't get talking to the IBA organiser (I think her name is Fiona?) or the presenters, but from what I could see they seemed like very attentive hosts. Not to mention, I imagine they were wrecked from working all day at the conference too. Of course the hotel is on the pricier side, and with that plus ticket costs plus travel costs (as we don't live in Dublin), the two of us spent quite a bit. 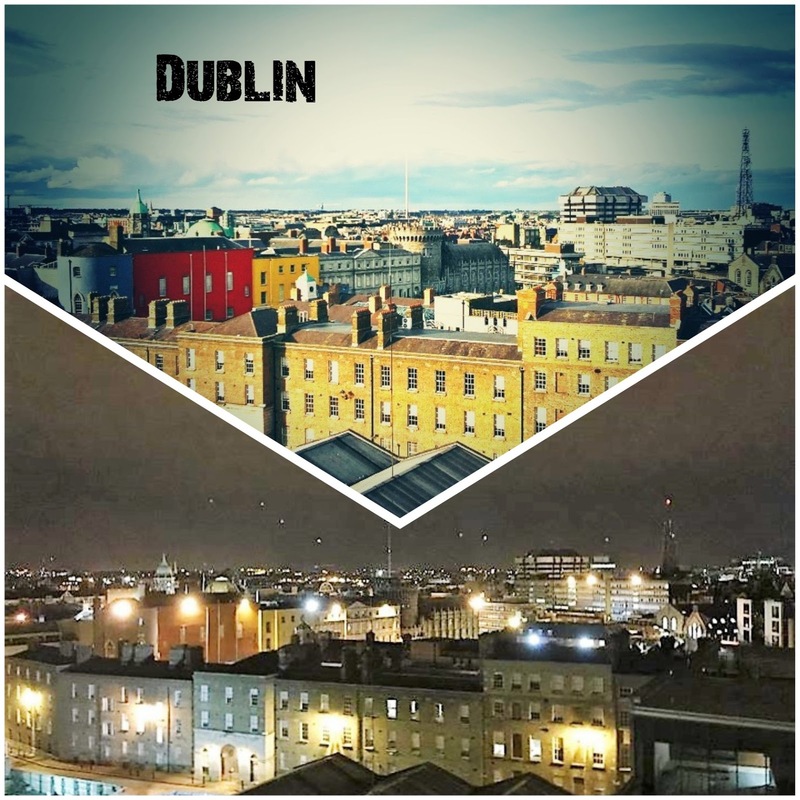 Dublin is expensive, and travel is expensive. But we treated ourselves, saved, and I don't go out much. The fact that I do not live in Dublin is not the organisers fault -I only mention this, as many people online have pointed out their extra expenditure while reviewing the events. There isn't much the organisers can do in regards to where you live -It's only natural to have a central location like a city. Perhaps though the IBA might considered cutting the list down next year by introducing finalists/ cutting down the nominee list before the day. Apparently to do so is norm at such events. Other than that -If you want to live in Dublin, move to Dublin. My final point, and probably what most people seemed to touch on already as a confusing element, was the lack of transparency during judging. Like most people, I prefer the idea of panel judging VS. having friends vote for their friends blog online or any other similar style of fake popularity. However, the organisers decided to keep the judges names completely secret. I'm sure they had their reasons -perhaps they thought bribery may be an issue? (sounds ridiculous for a blogger's award, but you never know). But I assumed, come the main event, they would not only be named but might speak. Perhaps say a few words on what we have been judged on. I hope that doesn't come across as being bitter over not winning, I just honestly would have liked some insight into how these things work. Particularly as it was my first time. And apparently (going by what regular award attendees have been saying) judging with such a lack of transparency isn't the way they are usually conducted. In saying that, I highly doubt anything suspicious was occurring behind the scenes -and I really hope others are not assuming that either. After all, it's a bloody piece of paper, at the end of the day (not to take away from it -but you know what I mean! ), at a small awards show, in Ireland. Not the moon landing, or the CIA... we're writing blogs and drinking gin, not changing the world (for the most part), and I think it's important to keep some perspective on that... So I won't lose too much sleep over who was on the judging panel. Hopefully the IBA will take popular suggestions on board, and I hope people are not put off from attending next year -likewise, I hope the organisers are not too upset by any criticism they may have read or heard. You can't please everyone, and events always take a hit the first year, in someway or another. All events have teething issues, and I think we should see this as such. (and I will be back next year!). Side note: from what I have heard about the conference -more food next year is key. A lot of issues came down to being hungry... If any of the organisers are reading this -hungry bloggers are cranky bloggers! Pile up on the sandwiches and doughnuts next year.